Global process automation and equipment manufacturer Sapcon Instruments today announced four new path breaking products for its industrial clients looking for reliable and accurate level measurement solutions. Global process automation and equipment manufacturer Sapcon Instruments today announced four new path breaking products for its industrial clients looking for reliable and accurate level measurement. With CAPVEL, CAP2VEL, SAPSONIC and COAT-ENDURE, Sapcon Instruments is offering the most reliable and the widest range of level measurement solutions at high temperature, pressure and constricted plan conditions. Sapcon’s new instruments are a reflection of years of research and development work focused on exploring out-of-the-box level measurement solutions. The Telecom industry, the automobile manufacturers and the water treatment plants have since long yearned for a comprehensive solution that includes continuous Scanning, Displaying, Controlling & Transmitting for solids and liquids. Capvel ICT runs on the capacitance technology and with its adjustable sensitivity, custom calibration and full set of controlling, it is the most reliable capacitance level probe in the market. 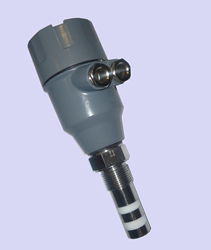 Sapcon’s PIPE FORK is a revolutionary compact vibrating fork level sensor useful for the Pharmaceutical, Chemicals. Pesticides, Edible Oil, Packaging, Food, and Bulk Drugs industries. With built-in operational safety and reliability, this compact vibrating fork level switch is suitable for all kinds of fluids and is used in tanks, containers and pipelines. Sapcon’s COATEn-DURE is an admittance based compact level switch suitable for sticky solids and pastes. This device has been specifically designed for the packaging industry where the materials have a tendency to stick on the probe. SAPsonic is an ultrasonic level transmitter that is a proven, tested and robust level measuring device for industrial applications. This non-contact type level transmitter is not only low cost and easy to install but it is a low maintenance level measuring product too. Sapcon Instruments is a leading level measurement solutions company which specializes in level sensors, switches, transmitters and speed monitoring systems that reliably measure level of a range of liquids, solids and slurries. The company brings an experience of 30 years in developing, manufacturing and installing level instruments in more than 45 countries. Sapcon Instruments designs, develops and markets level instruments that work on capacitance, admittance, vibrating fork and conductivity.